we are this and are in need of nothing else. This sort of gaze is unusual in our world. This picture arrests me. Not because of who this is. 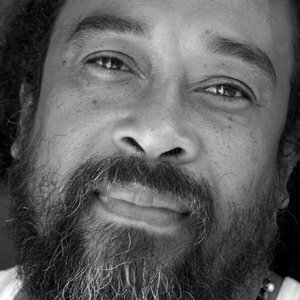 Mooji is a good teacher for me, but it is his eyes that I am drawn to. I see a clear mirror in this picture; perhaps no more words are needed. i seek this, hunger for this lack of pretense. This blog helps me to see my words reflecting layers of story clouding just how close this clarity is. I, too, am getting sick of words. i lack nothing. I have never lacked for anything. But I do Ask, Why are the pictures above and below unusual? There is a certain nakedness here that arrests me, in this shot, as well. Why do we not all see each other for real, young or old, pretty or plain; why do we not look each other in the eyes and see ourselves and grab hold like it means something? I sat completely still – to soak this in. I come here. I hold you. You are here. This IS what we are doing, I see now. Thank you! (you’ve lost your british reserve:) haha. I know. I talk to random strangers a lot these days…always trying to make people smile or laugh. Mind you, I think the reserve is a thin veneer. So grateful I am to find resonating words, free, online, timeless along with the gift of knowing others are being pulled back to themselves along with me. Hope to keep seeing you around and about, LL!! Thank you for sharing your words with me. Because we are taught to fear true self. Sad but often to true. Embracing or bracing as in to buttress? I love your autocorrect – makes my mind summersault. I know my auto correct rules the day as I’m far to slow to catch it 😦 yes embracing the true self beast. Ooh, thank you, Marga! I loved your beautiful writing, and agree with everything Mooji said. I’ve had that knowing for very long, and it’s always wonderful to hear others expressing it. What I love is his final words – “…to move completely out of doubt.” That is my lesson today! Thank you! So nice to be able to listen with you here today, Kelly – I feel the virtual Sangah I’ve always known was with me is now a tangible gathering. I’ve been saving this all day for it to be the right time to listen to this gem from Mooji. Thank you. His gaze, Ramana’s gaze, Eckhart’s gaze – all the same – no one there. Just love. That funny you speak of looking into the eyes, but it made me think that I want to look more to what color the eyes are, what their shape was and such, instead of just holding someone in a respectful look back; I want to recount their eyes: what was their color. Your top most picture is just as much about the set of his mouth which makes for a compassionate face. But I may be off your subject.